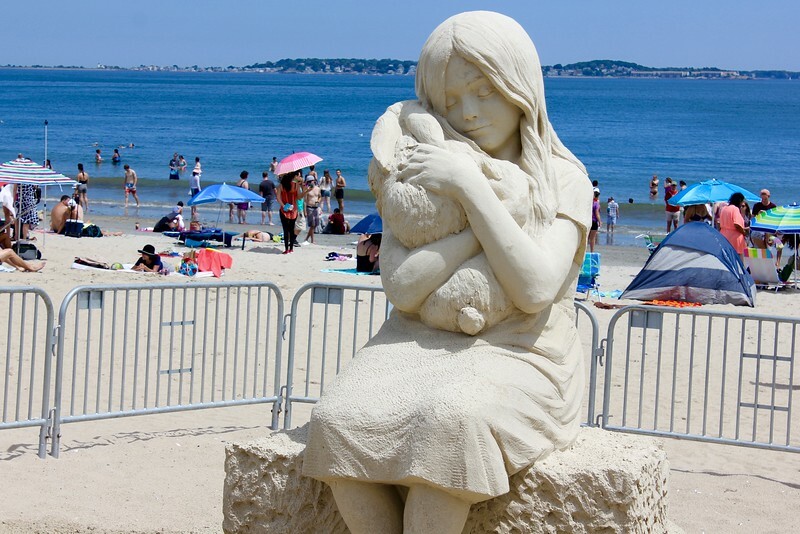 I haven’t traveled internationally since April, but I really didn’t mind staying put this summer because there’s so much to do in and around Boston during the few months of warmth we get here. 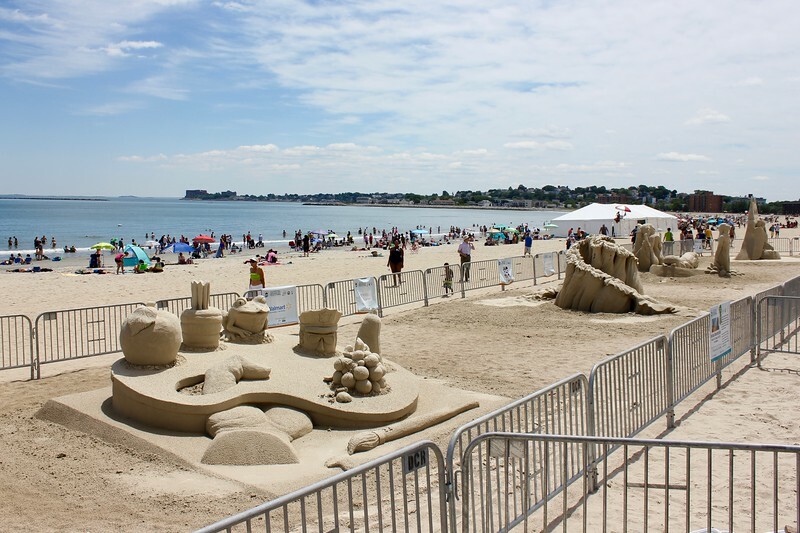 I took almost-daily walks on the beach by my house, sailing lessons with a friend, and road trips to Acadia, Maine, and the Green River Music Festival. 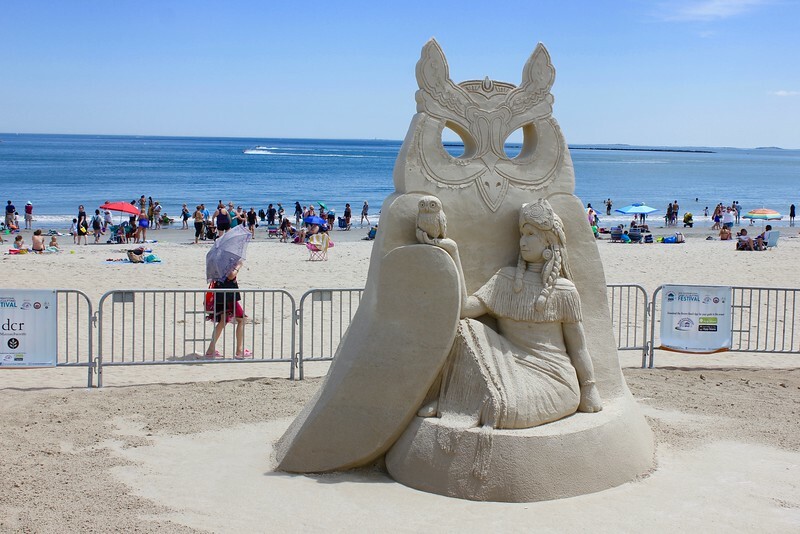 And on one steamy Sunday morning in late July, I dragged myself out of the comfort of my air-conditioned home to attend the 13th annual Revere Beach International Sand Sculpting Festival, which takes place in Revere, Massachusetts, on the oldest public beach in the U.S. (about five miles north of Boston). 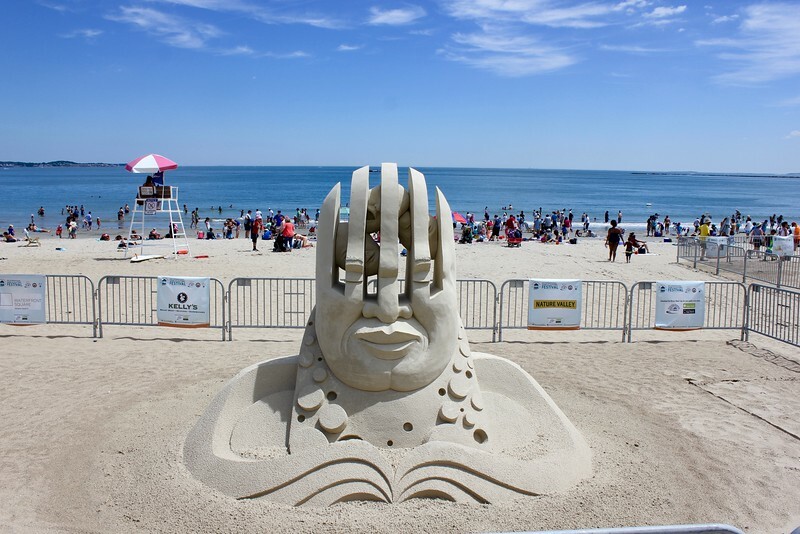 This year’s Festival featured 20 artists who came from all over the world to Revere Beach to spend three days crafting their temporary masterpieces out of just sand and water – it also drew about one million tourists! 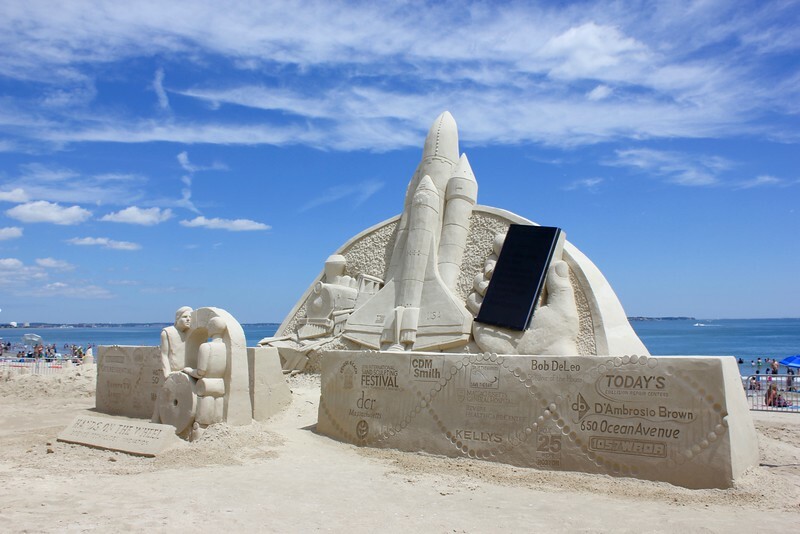 Fun fact: The sculptures are made from decomposed granite dust that was trucked in from a quarry in Hudson, N.H. Here are some of my favorite photos. During the Festival, the street that runs parallel to the beach is shut down and lined with food stalls, and there’s entertainment including games, rides and live music – it’s a carnival-like atmosphere that I would’ve loved as a kid, but as an adult, I found it a little overwhelming due to the crowds. I would definitely recommend bringing plenty of water and some snacks instead of waiting in line to buy food and drink there. Due to the crowds, I recommend going early in the morning or at sunset. 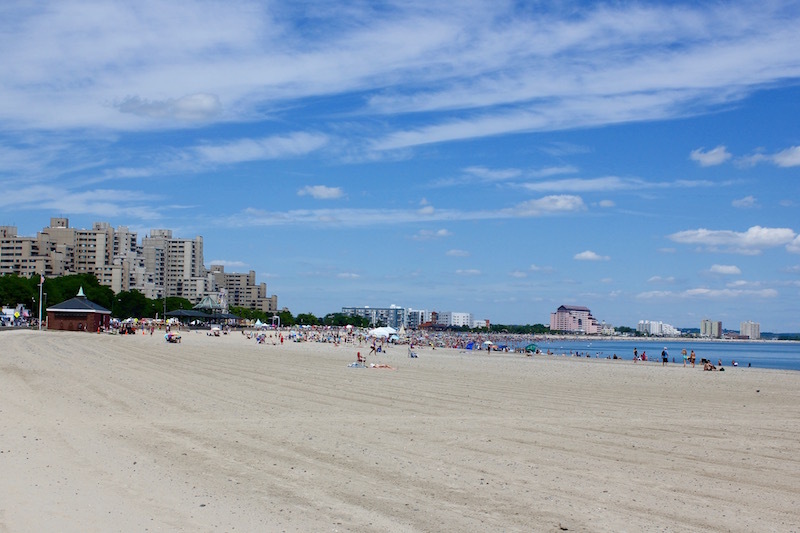 I also recommend taking the T to Revere Beach Station (Blue Line), so you don’t have to worry about finding parking. 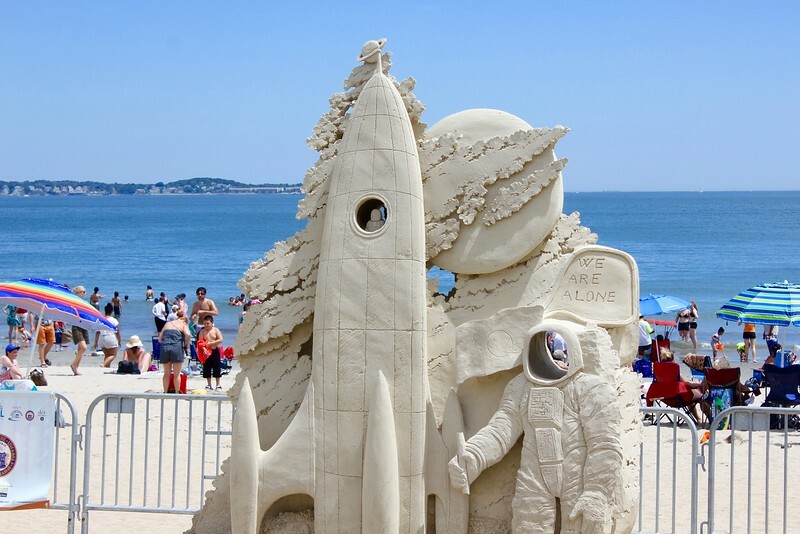 I think no trip to Revere Beach is complete without a stop at Banana Boat, a classic ice cream stand – it hits the spot when it’s hot out!